I figure that since May is the time most schools start wrapping up the semester, I would spotlight an LP from the kiddos this time around. 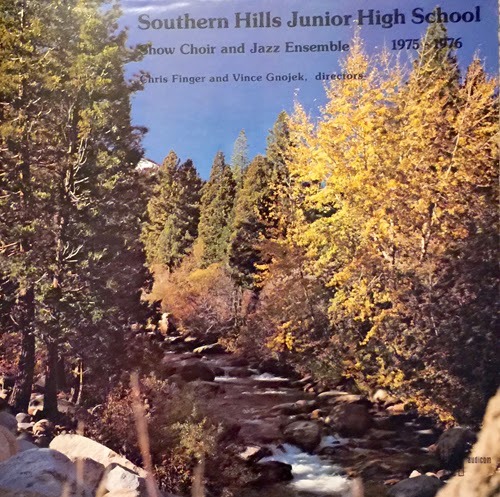 I'm a sucker for any and all school-related LPs that feature pop covers, and this album from Boulder's Southern Hills Junior High (now Middle School) doesn't disappoint. There are actually two (that I know of) releases from SHJH. Both are on the prolific Audicom label. 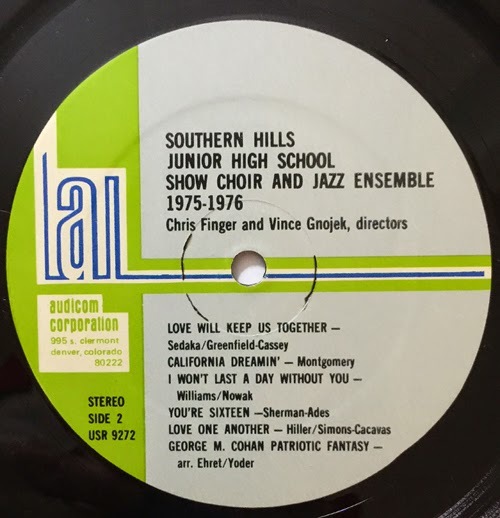 Unfortunately, my copy of the 1974 release is trashed (someone decided to donate it to the thrift store where I found it...after they used it to sharpen knives), so I'll sample from my 1975-1976 album.